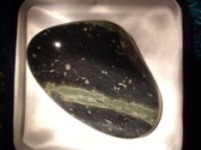 "The premiere Healing Stone for Healers and Therapists"
JaneAnn Dow (author of Crystal Journey and The Crystal Journey Cards). 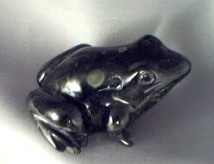 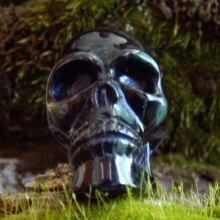 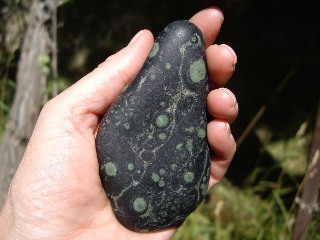 And renowned retailers that have personal experience with Nebula Stone such as Barbara Medlyn (owner of the Quartz Source) and Rosalie Cook (owner of Rosalie Creations for over 35 years). 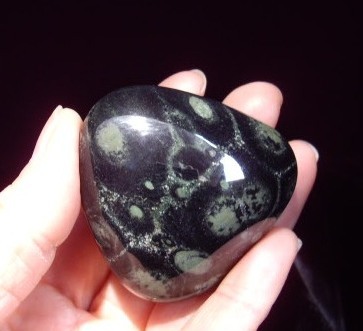 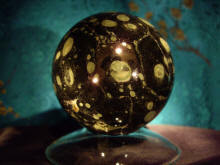 As you can see by what they are saying about Nebula Stone it has become known as The Premiere Healing Stone. 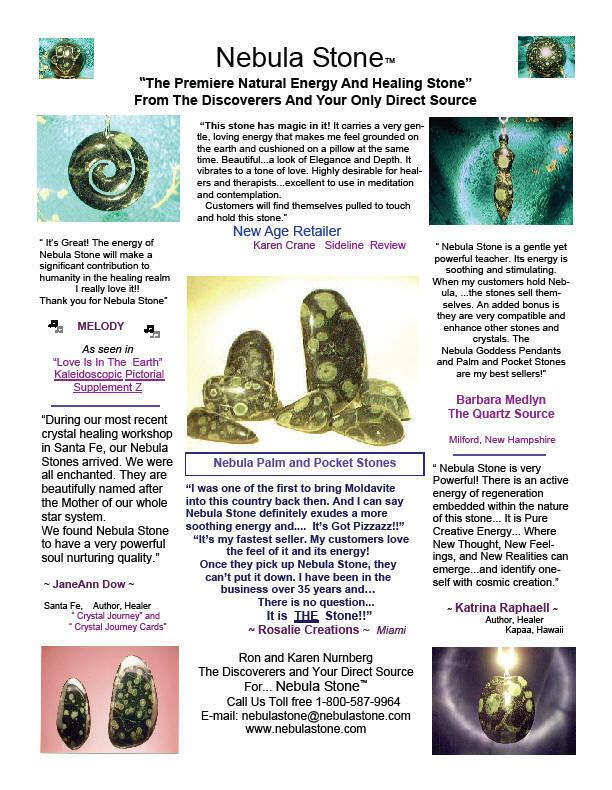 We are hearing some of the most amazing stories from folks around the globe about the energy of Nebula Stone.